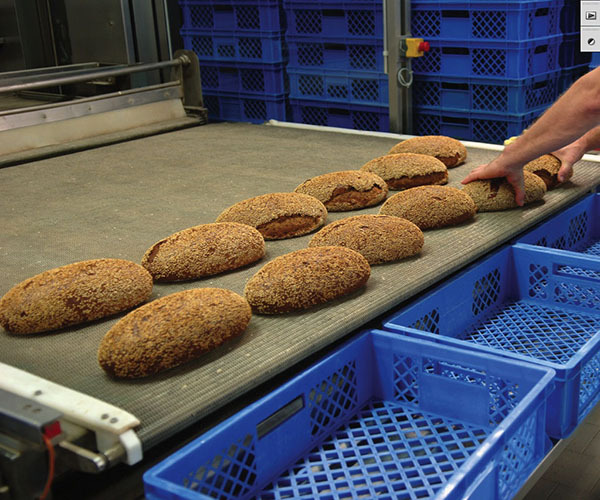 Reusables are widespread in the food & beverage industry, both in the production process and for distribution. 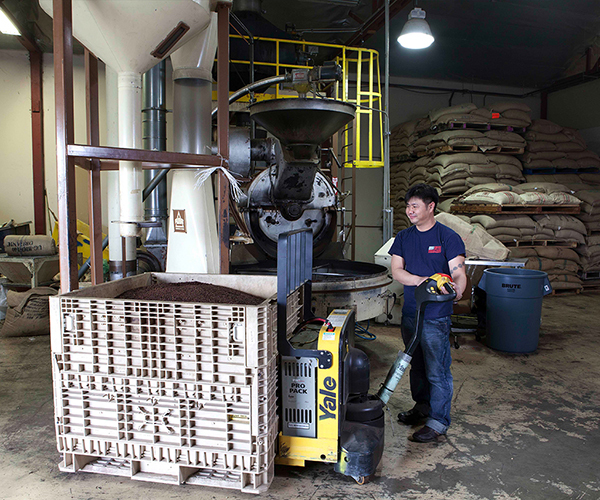 Intermediate bulk containers, dry bulk containers, pallets and handheld totes are commonly used to store and transport raw ingredients and unfinished food products within the facility or between processing areas. Reusables are also ubiquitous in distribution, especially where goods are shipped in a closed transport loop directly from the manufacturer to the retailer, and trucks bring back the empty pallets, trays and crates on the return trip. Typical examples include deliveries of milk, bread, bottled soft drinks, produce, case-ready meat and—to some extent—eggs. Deliveries to restaurants, hospitals, schools, prisons and other food service providers also benefit from Reusables, e.g. 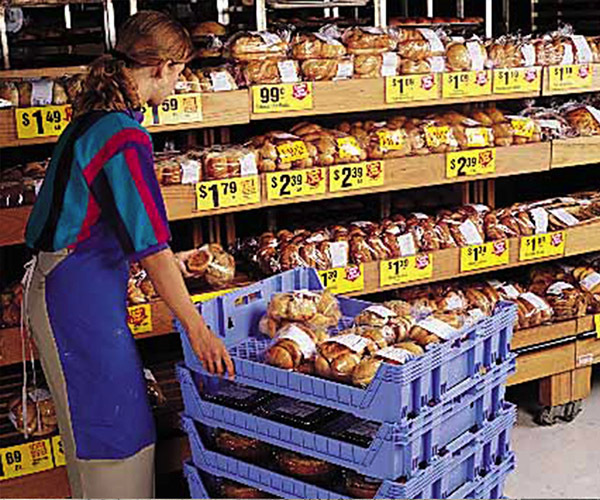 for fresh poultry, seafood, and semi-prepared foods from commissaries such as dough balls. 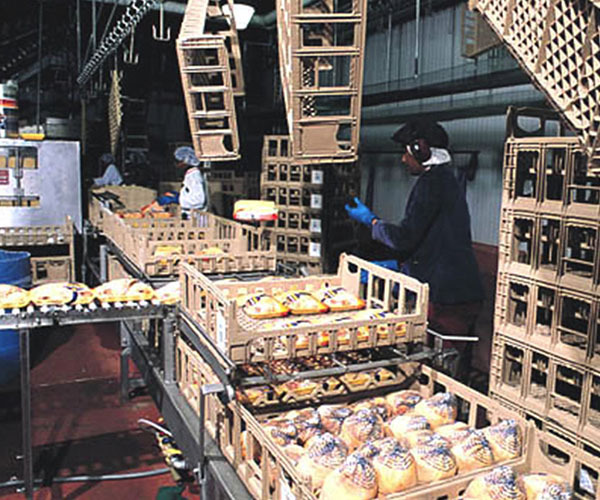 Of particular interest to the food & beverage industry, reusable transport packaging provides superior product protection, minimizing spoilage and loss of perishables during transit. Click here for more success stories from the food and beverage industry.